15521 Queensferry Dr, Fort Myers, FL.| MLS# 219012483 | Southwest Florida Residential Real Estate for Sale. 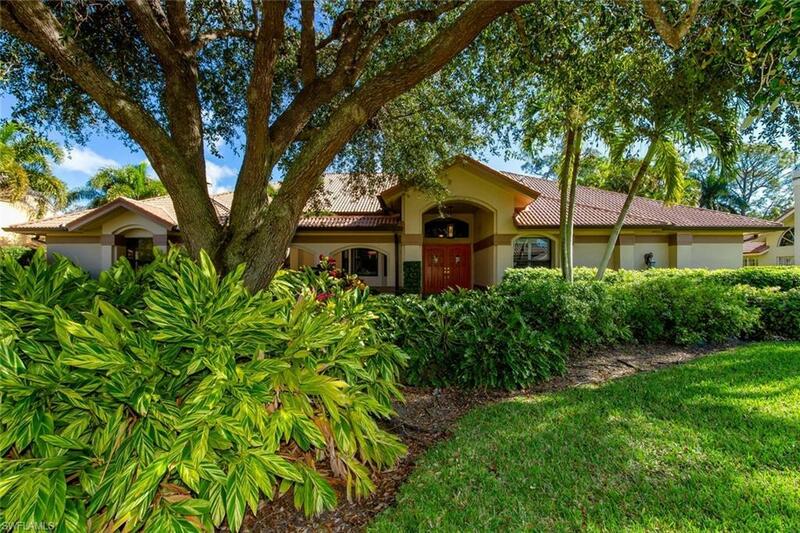 Stunning 4 bed, 3.5 bath, pool + spa home with golf course view in highly desirable Fiddlesticks Country Club. Owner has spent over $300, 000 upgrading home! Features include slate driveway, metal roof, new golf cart garage, marble floor in main living areas with carpet in bedrooms and wood floors in den. Screened in patio has been completely renovated with slate tiled pool deck, covered grilling area, and huge covered sitting area. Salt water pool and spa are gas powered - spa heats up quick! Huge 2, 000 gallon propane tank and huge generator will run entire home at full power for 12 days! Culligan whole house water softener and reverse osmosis system. Huge kitchen has granite countertops and all new appliances. Master bathroom features steam shower and separate tub. Conveniently located near dining and shopping, including the brand new Whole Foods, Fiddlesticks offers 2 championship golf courses, clubhouse with casual and formal dining, 8 Har-Tru clay tennis courts, new 7, 000 square foot fitness facility, new resort style zero-entry pool with cabana bar and pool-side dining, and many social events throughout the year. No CDD fee! Equity membership due at closing.